Peace returned to Jaffna after a 30-year brutal war in May 2009. But paradoxically, the suicide rate has gone up there since the end of the war. COLOMBO: Peace returned to Jaffna after a 30-year brutal war in May 2009. But paradoxically, the suicide rate has gone up there since the end of the war. 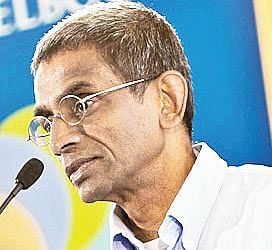 Statistics collected by Dr Daya Somasundaram, Professor of Psychiatry at Jaffna University, show that in 2005, at the beginning of Eelam War IV (August 2005 to May 2009), the suicide rate in Jaffna district was about 23 per 100,000 population. But in 2006, when the war began to intensify, it came down to less than 20. As the war progressed in 2007 and 2008, the rate declined further. And in 2009, when the war was at its peak and Tamil society was under severe threat, the suicide rate went down to almost 15 per 100,000. After the war, the suicide rate rose sharply, to cross 25 in 2011. It fell slightly below 25 in 2012, but only to rise in 2013 to the 2011 level. During the 2002-2004 peace process also, the suicide rate had increased as compared to the earlier period when military operations were on. Explaining the phenomenon, Somasundaram told Express that during the war, frustrations were better managed because there was a strong social support system cushioning the impact of various kinds of traumas and stresses. Under the Lankan military siege, civilians clung together. But after the war, social cohesion and social support systems began to wear thin as families got splintered. Economic deprivation, which continues to this day thanks to unimaginative government rehabilitation policies, created family splits and interpersonal issues. After the war, an individual’s “social capital” dwindled, and was no longer a fall back option during stressful situations. Somasundaram recommends that the government should help increase the “social capital” of war-affected people by restoring pre-existing social and familial networks, and making these groups the vehicle of rehabilitation schemes. Since the traumas experienced during the war had been collective, rehabilitation should also be collective, he said. Against this background, even mourning has to be collective, he insists. But government considers collective mourning by the Tamils of their war-dead as a grave “security threat”.